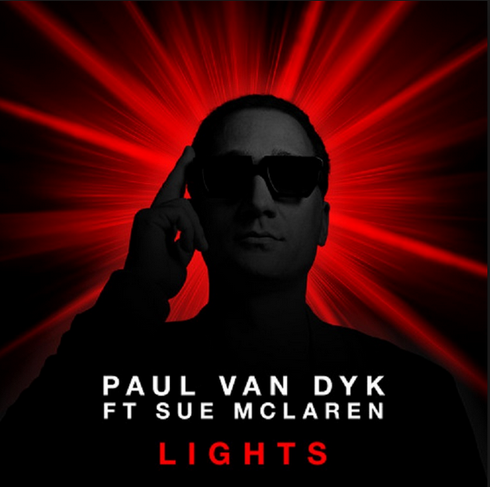 ‘Lights’ is the next single to be taken from Paul van Dyk’s seventh artist album, ‘The Politics Of Dancing 3’. Following the release in May, ‘Lights’ established itself as a frontrunner favourite with PvD devotees and its single release, as Paul states, is “simply my response to their response!” The single’s release is completed with a trance translation from Giuseppe Ottaviani, Wee-O’s uplifting, festival-minded rework, a housier creation from Owen Westlake and an enigmatic, ether-steeped official vid from US features director/producer, Adam Mason. Having previously cast her spell over ‘Evolution’’s live-show fave ‘We Come Together’ and more recently ‘POD3’s Aly & Fila co-op ‘Guardian’, singer/songwriter/regular PvD muse Sue McLaren returns to vocal duties. Through enigmatic, oblique lyrics and the track’s bittersweet vocals, she brings ‘Lights’ her singularly expressive touch. In its Original Mix form, Paul takes it down a cooler, more subliminal production path. Reflecting that, the UK-based singer lends it a wholly entrancing vocal performance. Remixes come from long time van Dyk studio confident (and ‘POD3’ collaborator) Giuseppe Ottaviani, who drives the track later into the night. Having already excelled on his ‘Only In A Dream’ rewire, and with remix credits for Tiësto and others to his name, Owen Westlake has deeper, housier designs for the release. Finding middle-ground between the two, Berliner Wee-O’s summer summarising remake has ‘outdoor’ stamped all over it. Having brought psychological thriller features including ‘The Devil’s Chair’, ‘Broken’ and ‘Prey’ to the screen, UK-born/US-based director Adam Mason is the man behind ‘Lights’ visual dimension.